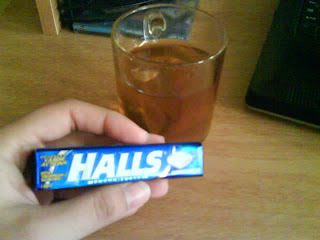 My saviors for today: Tea and Halls. HUGS hun! Hope your feeling better soon! You and I would make quite the pair. We could share our Halls and tea! !